On August 29, 2018, the English version of Non-Compromised Pendulum came to light. The book comprehensively describes the system of the legendary coach – Cus D’Amato. It should serve as a reminder that D’Amato brought science to sweet science and forged three world champions – Jose Torres, Floyd Patterson and Mike Tyson. Secretive though these training methods were to the outside world, I feel it is now important to give back to the sweet science of fighting. An everlasting gift of knowledge provided to you all through me, from Cus D’Amato. The book is a reference piece about Cus D’Amato’s system, which incorporates psychology, philosophy as well as the description of technical elements. It is not possible to convey Cus’ methodology in the frameworks of a single book; I think that an encyclopedia with several volumes would be required. I will probably write several more books to assemble materials I have gathered in 20 years and materials of mutual work done with people in the US, who knew Cus well and worked with him for many years. 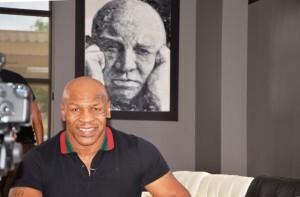 It’s necessary t0 be pointed out that there were several noteworthy books written about D’Amato in the last decade (Confusing the Enemy – Dr. Scott Weiss, Iron Ambition – Larry Sloman, Mike Tyson). However, until today there was no book that would explain step by step approach of Cus and his methodology of how to nurture world champions in and out of the ring. It is not surprising that one of the authors of the book is the scientist, Oleg Maltsev, who has been studying Cus’ system for more than 20 years, all while being the head of three research institutes. To unravel the inner-workings of Cus’ system is in power of a true scientist only. After our mutual work in NY with Tom Patti and Dr. Scott Weiss, I have made a list of chapter titles, that seemed to represent Cus’ system as precisely as possible, and coordinated that list with Tom. The book is written in a language that will be understandable to specialists in the world of boxing and for the public in general. Great news for ones who revere the genius of Cus D’Amato is that the book is released in the frameworks of a non-commercial project and is already in the public domain. The patron of the project is Phd Oleg Maltsev.